A journey through audio windows evoking ambient landscapes near and far. The five tracks were written to evoke images and feelings of relaxation, unease and optimism. 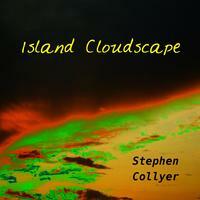 The title track pictures a balmy island where lying ona hillside of soft grass listening to clouds move through the sky brings about a relaxing, meditative experience. At the other extreme, the last track cheerfully greets the rising sun on the Maltese island of Gozo with a stimulating mix of bold and upfront rhythms. In between, beautiful Bali is the setting for recurring visions of meandering rain showers scattering through trees and across rice terraces; the Scottish island of Islay disconcerts the senses with its shifting mists reflected in changes of haunting instrumental perspective; while the seabird reserve of Lundy Island is the place to unwind after the labour's of the day with a hymn to the setting Sun.